The light heavyweights of the 212 division vie for Olympia immortality! Can Lewis win again? Or will a newcomer steal his thunder? Two years ago, the Olympia changed its lightweight bodybuilding cutoff from 202 to 212 pounds. The intent was to pit smaller—but no less impressive—iron warriors against each other on the world&apos;s biggest stage. The extra 10 pounds would allow each to carry more muscle into the contest. As the past two Olympias have shown, both bodybuilding fans and competitors have warmly welcomed the 212 category. The event elevated many top-tier pros from obscurity to superstardom. The quality of the physiques that grace the 212 Olympia stage has improved dramatically since the division&apos;s inception. A greater number of pro athletes bring their best to the 212 shows with hopes of qualifying for the Olympia. We see stacked lineups and closely fought battles. Two-time Olympia champ Flex Lewis retains a firm grasp on the 212 title, but he cannot for a moment become complacent. The always-shredded and heavily muscled 2008 202 Olympia winner, David Henry, is on the lookout for Olympia win number two, and three-time 202 Olympia champ Kevin English will also be in the mix. It&apos;s going to be a tough battle for the man with the killer wheels. If any 212 athlete can create a multi-win legacy in the fashion of the great Ronnie Coleman, it&apos;s Lewis, with his unsurpassed combination of size, shape, and polish. Many expect him to again take the Sandow. Will Flex Lewis&apos;s reign continue after September 20? Or will a fresh face unseat the champ to begin a legacy of his own? Any of the top-tier competitors could—given the right set of circumstances—take the title. Take a look at my projected top ten, listing in descending order from No. 10! Former open division standout Mark Dugdale has found a welcome home for his aesthetically pleasing shape in the 212 division. He has six top-six placements and top-ten Olympia finishes since the division&apos;s inception in 2012. The veteran began his career in 2005 with an 8th-place finish at the now-defunct Ironman Pro; more recently, he placed third at the 2014 Toronto Pro show. Dugdale is known for his great balance, crisp conditioning, perfect posing, and spectacular stage presence, but he&apos;s up against the most competitive 212 field in the division&apos;s history. The top 10 will be tough for him to crack. Despite a patchy pro career after finishing 4th-place in the 202 at the 2008 New York Pro, Charles Dixon has steadily improved his physique to become a standout athlete in 2014. He took 6th place at this year&apos;s Arnold Classic and collected his first pro win at the 2014 Wings of Strength Chicago Pro. Dixon is ready to make his mark at September&apos;s 212 Olympia Showdown! 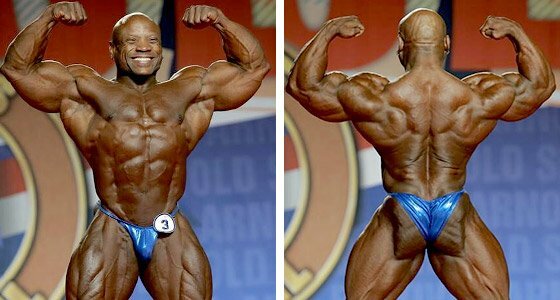 With thickness reminiscent of co-competitor Kevin English and some of the freakiest legs in the division, the 5-foot-5 2007 NPC National Champion is in line to make the top ten. Hidetada Yamagishi must prove he can still beat the best. His lengthy pro career began in 2005 with a 17th-place finish at the Ironman Pro. Yamagishi, like Dugdale, has fought it out with the best open weight men on the planet. This will be his sixth Olympia appearance. Yamagishi shows no signs of slowing, despite a schedule that would break a lesser competitor. He has two pro wins to his credit, including a victory at this year&apos;s PBW Tampa Pro. Japan&apos;s Musashi of Muscle continues to prove his worth as the best Asian bodybuilder ever to have posed down on the world&apos;s biggest bodybuilding stages. Famous for highlighting his tremendous proportions—including an excellent X-frame and flaring quads—through his superior posing skills, Yamagishi will again push for victory against the IFBB elite at this year&apos;s historic 50th Olympia. Former heavyweight USA winner Aaron Clark will have some serious muscle onstage. A relative newcomer to the pro ranks, Aaron began his career among the elite. He took down an impressive 4th-place finish at the 2013 New York Pro. Clark&apos;s success continued with a third placement at the 2014 Arnold Classic and a win at the 2014 New York Pro. With some of the best conditioning in the division and excellent balance to accompany his dense muscularity, Clark will make his Olympia debut in style. The seventh spot seems underwhelming considering the success he has had, but Clark has not faced a field this deep in his young career. Sami El Haddad&apos;s full muscle bellies have given him a sizable advantage in each of the six pro events he has contested. He resembles a scaled-down version of 90s pro great Flex Wheeler. El Haddad won the 2014 IFBB Bodypower Pro. He&apos;s had four 2nd-place finishes, a sixth at the 2013 Olympia, and the Bodypower Pro win to boost his pro resume. El Haddad is accustomed to fighting for top honors. To truly shine on the world&apos;s biggest stage, he needs proportion, symmetry, and a level of grainy conditioning that has thus far eluded him. A touch more overall size would surely land him in the top three. Until then he is likely to repeat his 2013 Olympia placement. Correa announced his inclusion in the IFBB pro ranks with an emphatic win at the 2009 Pittsburgh Pro, and placed third at the Olympia later that year. The thickly muscled Brazilian native has proven from the outset that he is for real. With the exception of the 2012 Arnold Classic, where he was uncharacteristically off his game, the 2008 Arnold Classic light heavyweight amateur champion has slipped out of the top six. He placed third and fifth at the 2012 and 2013 Olympias, respectively. They say that news comes in threes, and this is especially true of Correa: He often lands in third place, and on three occasions trumped the field. With great separation in all muscle groups, possibly the most impressive arms in the division, and an ability to out-condition his fellow contenders, Correa is one competitor who could cause an upset come September. The mass monster of the 212 division is a multi pro show winner. Jose Raymond won both the 2013 New York and Toronto Pro events, and placed a respectable fourth at the Olympia that year. Jose struggled lately to find his trademark ultra-shredded form. He won the New Zealand Pro earlier this year, but when truly tested he has missed the mark. He placed 5th at both the 2013 Europa Phoenix Pro and this year&apos;s Arnold Classic. 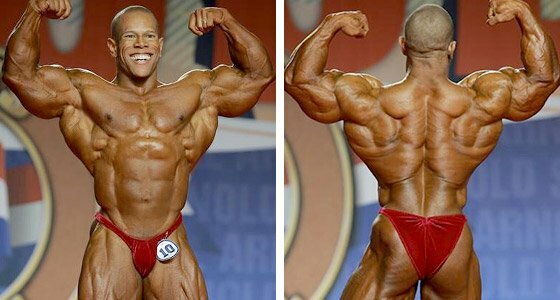 The 5-foot-5, 2007 NPC National Champion and USA winner is always in the Sandow hunt. He placed 4th at the Olympia in both 2012 and 2013. He hopes to climb the O rankings in 2014. If he brings his best showing to date, he may break the top three this year. Kevin English went pro as the 1998 NPC National middleweight champion, but he began his pro career in less than stellar fashion with a 14th-place finish at the now-defunct 2000 Night of Champions. After a six-year hiatus, he slid to the 17th spot at the New York Pro. Those early struggles would lead to Olympia gold. English packed on the muscle en route to a win at the 2008 New York Pro. Since then he has continued his winning streak, clocking six victories, including three Olympia 202 wins (2009-2011). He possesses arguably the most densely muscled and widest physique in his division. The 5-foot-4 former 202 king is in contention for 212 crown. In 2013, slightly off his usual spectacular form, he placed 3rd behind David Henry and winner Flex Lewis. Should he bring a tighter look in 2014, English could add another Sandow to his impressive collection. David Henry began his lengthy pro run in 2004 with a 6th-place finish in the Iron Man Pro. The "Giant Killer" has fought it out with men 50 pounds heavier for most of his competitive career. He won the first-ever 202 Olympia in 2008, ahead of both Kevin English and Flex Lewis. Henry took 2nd in the last three Olympias and continues to chase his first 212 gold. He has the potential to beat reigning champ Lewis. Henry&apos;s back and shoulders are arguably the best in the division and his definition is unmatched when he&apos;s on. The veteran Henry will need to make 2014 the best of his career. He competed well off his best shape at the Australian Pro Grand Prix earlier this year and took 7th place, but Henry responds well to defeat. This will likely make the 2014 Olympia proceedings all the more competitive. Henry should be back in contention for the top prize. The undisputed king of the 212 classification is Flex Lewis. The two-time defending champion continues to improve with each competitive outing. He packs thick, grainy muscle onto every inch of his 5-foot-5 physique. Lewis is nearly impossible to out-mass in a division replete with freaky muscularity. Many may argue that if he was a few inches taller, with the same impressive dimensions, the Welsh Dragon could dominate in any pro division. His flawless combination of size, proportion, and symmetry make him hard to beat. Formerly known more for his spectacular wheels, Lewis is now regarded as the most complete competitor in the 212 category. Barring an ill-timed peak, Lewis should claim his third Sandow at the 2014 Olympia. Lewis will be pushed hard by the other athletes. The top six can all take it, so he needs to bring his best physique in order to dominate the fight of his life come September 20. The 212 men gave everything they had to the judges, but Flex Lewis fought his way to the top of the heap. Here are your results in the 212 Olympia Showdown! Flex Lewis might be the reigning champ, but he&apos;s got a talented lineup nipping at his heels. If you want to know how things might shape up tonight, here&apos;s the scoop! The Sandow - The Greatest Prize In Bodybuilding! Do you know what it takes to earn the most coveted trophy in our great sport, The Sandow? Learn more about this coveted prize.